The MEGA Cutter Bench is a versatile bench (Part No. MEGA-BENCH) designed for the perfect storage of MEGA M250, M300, and T300 abrasive saws. 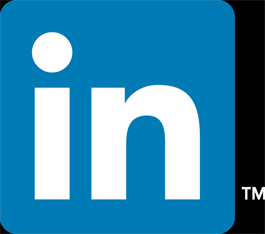 With a single 39.25-inch width equipment bench (Part No. S-BENCH), a double 78.75-inch equipment bench (Part No. D-BENCH) and a corner bench (Part No. C-BENCH) to connect them, these three benches combine to create a cost-effective, organized laboratory with ample space for your metallographic equipment. For setting up microscopes and microhardness testers the Single/Signal cabinet 78.75-inch (2000 mm) wide (S-MBENCH) and the Double/Double 102.75-inch (2610 mm)wide (D-MBENCH) microscope benches offer space for use with a chair cut-out. 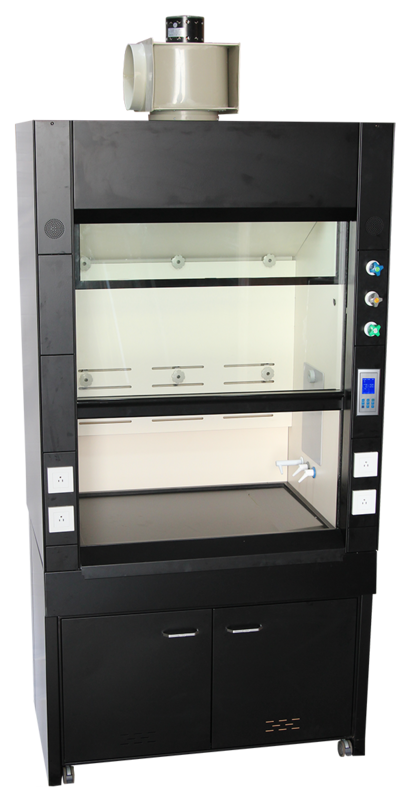 Limit exposure to toxic or hazardous fumes, vapors, and dust with this fume hood (Part No. FUME-HOOD), a valuable addition to any lab. - Multiple air and gas supply line with programmable control. Our safety yellow ventilated cabinet (Part No. 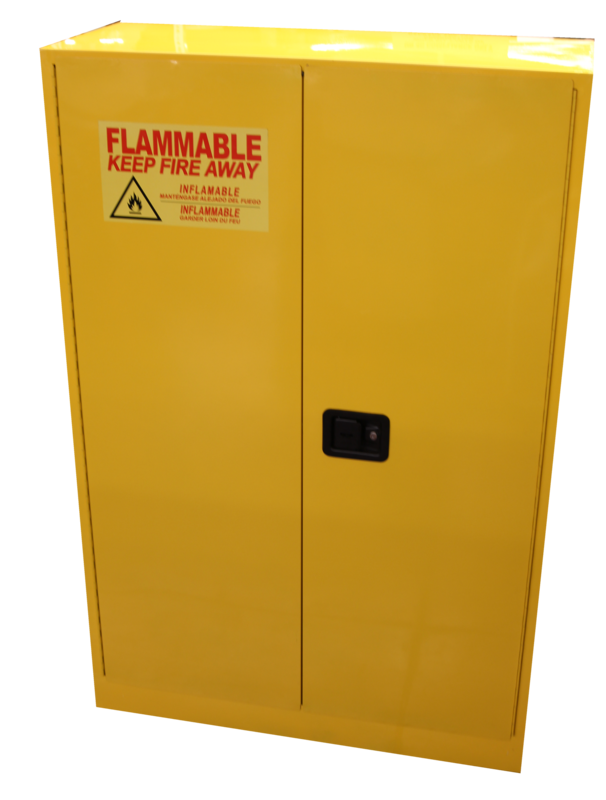 CAB-F) is a secure, highly visible cabinet designed specifically to store flammable substances. The safety blue ventilated cabinet (Part No. 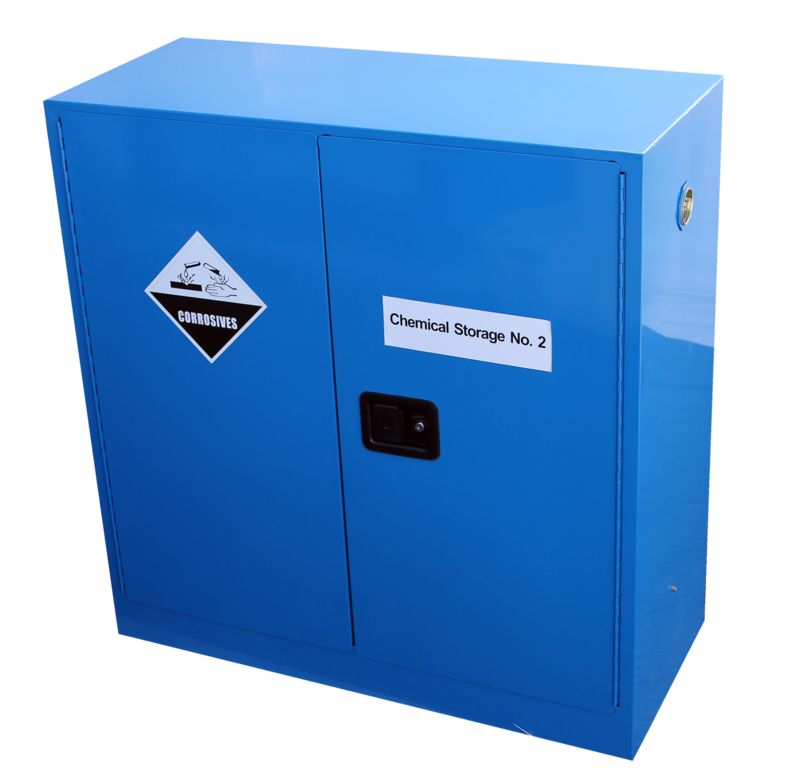 CAB-C) is designed for safe storage of chemicals. 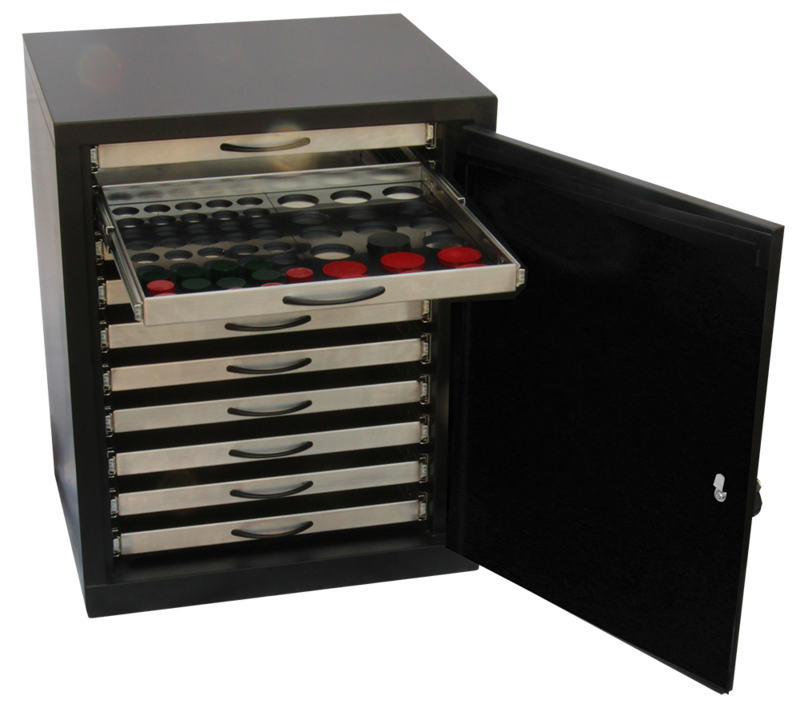 The Specimen Storage Cabinet is a durable, practical cabinet (Part No. 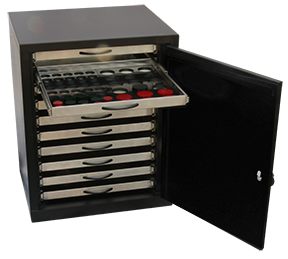 SPEC-STORE) specifically designed to store metallographic specimen mounts securely in an organized fashion.